I did it. 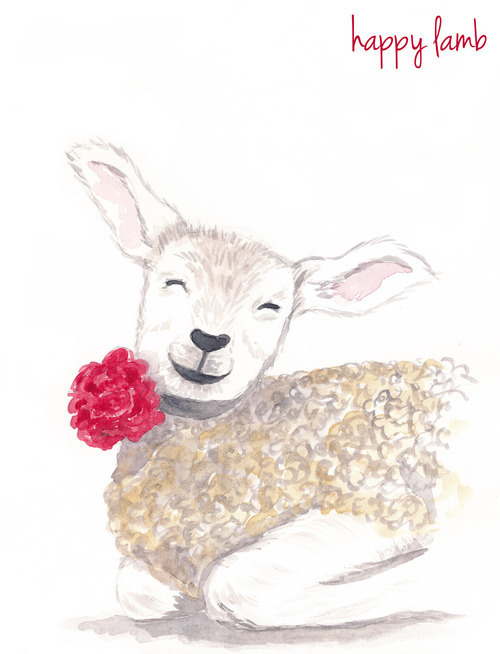 I found the happiest little lamb I’ve ever seen for the “wool” topic for Illustration Friday. But, of course, I also wanted to incorporate a rose somehow. So I decided that there probably is a little girl that loves this lamb very much and would tie a beautiful rose around her neck. Every little lamb needs to be dressed up, right?